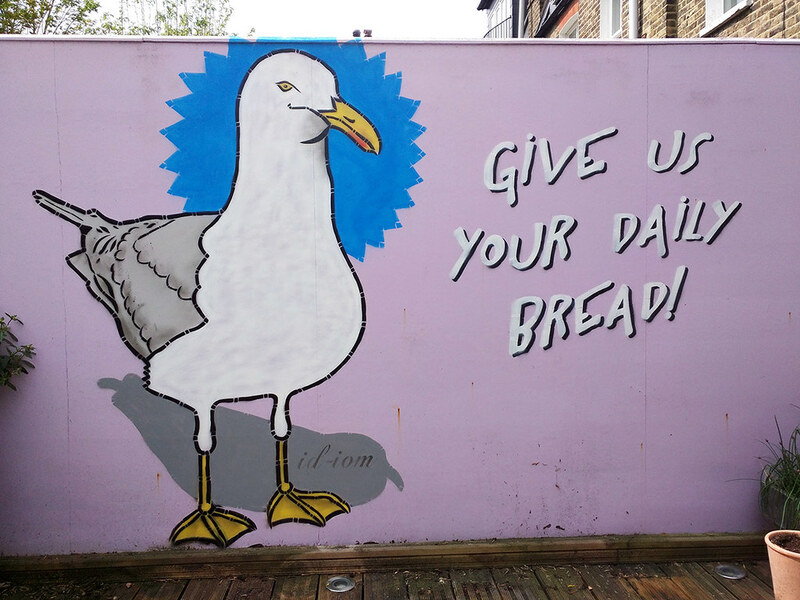 Give us your daily bread. The next episode. Seagull eyed viewers will note that we have done this imperious looking chap before but this time he’s been flipped to better fit the wall for this little back yard commission all completed in the blazing sun on a Bank Holiday Monday. 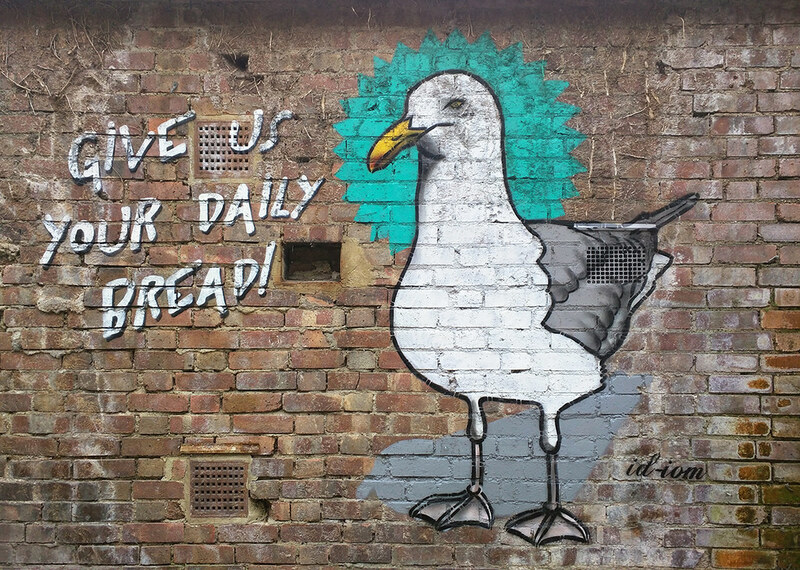 Comments Off on Give us your daily bread. The next episode.